Videos of the jeering and chanting mob of high school boys taunting a Native American senior doing a ceremonial chant near the Lincoln Memorial in Washington, DC has provoked widespread outrage. 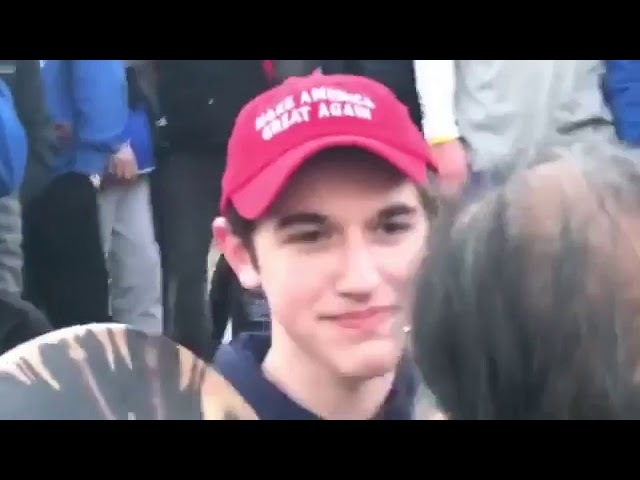 The students, mostly white and many wearing #MAGA hats, were identified as being from Covington Catholic High School, a private, all-male school in Park Hills, Kentucky, who was visiting Washington to participate in the March for Life protest. What would Christ think of mocking a Native American elder for his ethnicity? What about the sanctity of his life, of Indigenous People’s lives?